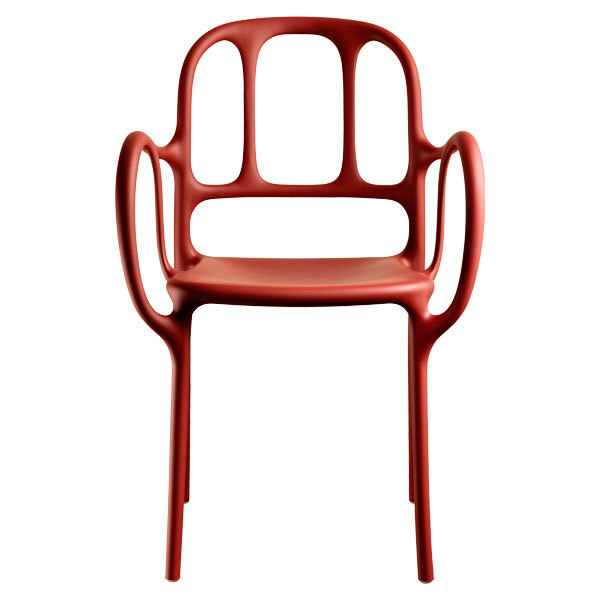 The Milà chair from Magis is designer Jaime Hayòn’s first plastic product. 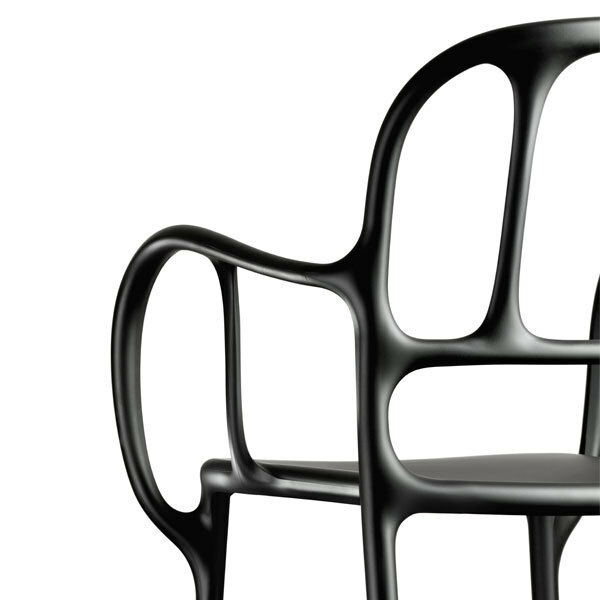 With a gas-assisted injection moulding technique Hayón was able to create a plastic chair that wouldn’t have been possible to achieve with traditional materials such as wood. Elegant Milà stands out with its organic and dynamic shapes, characteristic to Catalan modernism. 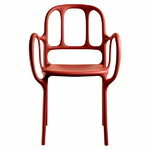 The lightweight chair features slender legs and ornamental back and armrests that look lovely both indoors and outdoors. Stackable. Suitable for outdoor use.